Illinois is expected to receive about $1 billion in a multi-state settlement with the nation's five largest mortgage lenders, Attorney General Lisa Madigan announced Thursday. 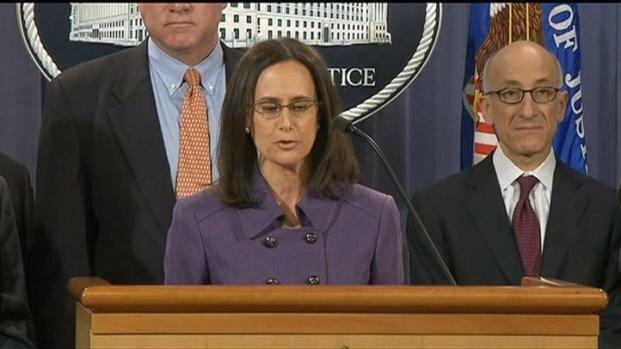 Madigan joined with attorneys general in others states and federal officials to announce the roughly $25 billion settlement in Washington. The settlement involves allegations of widespread "robo-signing" of foreclosure documents and other fraudulent practices that occurred after the housing bubble burst. Robo-signing means having employees sign papers they hadn't read or using fake signatures to speed foreclosures. The five major banks are: Bank of America, JPMorgan Chase, Wells Fargo, Citigroup and Ally Financial. They settlement money would reimburse American homeowners and help overall standards to prevent future abuses. Illinois' attorney general labels bank practices as "illegal, immoral and often inhumane." The deal is the biggest involving a single industry since a 1998 multistate tobacco deal. It would force the five banks to reduce loans for about 1 million households. The reduced loans would benefit homeowners who are behind on their payments and owe more than their homes are worth. "While the settlement is a big step forward in our efforts, it is not the end. In Illinois, we will continue to take strong legal action against lenders, banks, servicers and others who contributed to the housing and economic collapse," she said in a statement. Madigan's office said the money will be used to help Illinois residents who've lost their homes, are at risk of defaulting on their mortgages or owe more than their homes are worth. Last month, Madigan filed a lawsuit accusing Standard & Poor's of misleading investors by assigning its highest ratings to risky mortgage-backed investments during the years leading up to the crash of the housing market. The lawsuit alleged that the agency compromised its independence by issuing high ratings for unworthy or risky investments as part of a strategy to boost revenue and market share.